Summer 2013 was comparatively quiet. A lower than normal census meant that instead of the usual 400-500 summer volunteers, there were only 216. 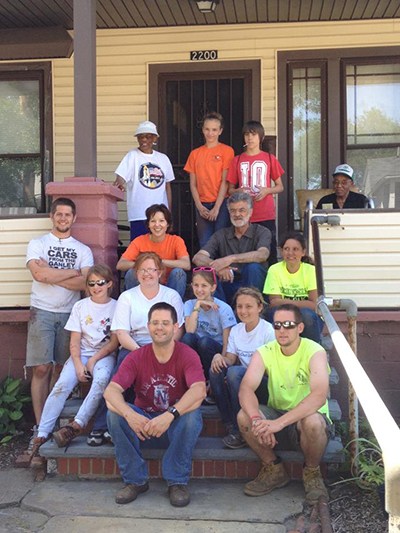 Despite those lower numbers The Nehemiah Mission of Cleveland (North Coast) assisted 38 families with necessary repairs on 66 separate projects. The food pantry continued to assist residents of the surrounding neighborhood and the Liberian refugee children still had a place to find food, tutoring, and care. As winter approaches the calls for assistance continue to come in daily. These needs include: home repairs, food and clothing, special holiday requests and requests for assistance with heating bills. The most challenging component of operating the mission remains sorting through the daily requests and having to turn down so many due to our own lack of funds and volunteers. As the Christmas season is upon us, we ask that individuals and East Ohio Conference congregations consider an alternative to the usual Christmas gifting. Simplify Christmas by giving gifts to loved ones that will have a real impact. Honor someone special by selecting a gift from our “Alternative Christmas Catalog.” Doing so will bless others with your generosity. 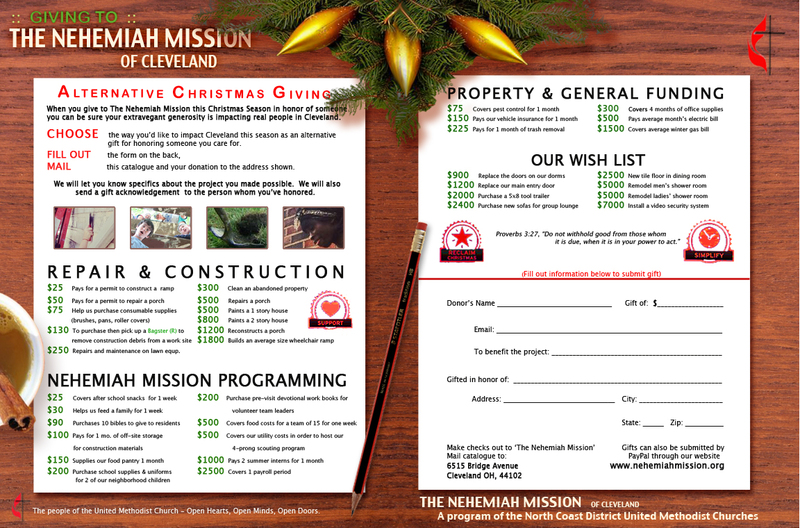 Visit The Nehemiah Mission of Cleveland online to learn more about the “Alternative Christmas Catalog” and other ways that you can assist those in need. Jim Szakacs is executive director of The Nehemiah Mission of Cleveland.